Whoa. That's a bold statement. But if you take a look at Jim Rohn's life and his body of work, I think you ignore it at your peril. Today I was thinking about some people I know who I think of as “life-long learners.” I know well over a thousand people, and probably hundreds of them are actively involved in various aspects of self-development. So I thought it would be easier if I focused on the people I know best. One of my colleagues connects the dots faster than anyone I know. He’s a voracious learner, and sometimes he feeds me new information in areas of my passionate interest. I know his personal history, and it seems to me he’s lived seven or eight lives. Now he’s involved in several entrepreneurial ventures. So far, he’s my leading candidate for The Most Interesting Man in the World—an amazing human being. Another best friend has been an avid learner all her life. I remember a time when she had to have a major operation to correct a life-threatening condition. The procedure upset her hormonal system, which caused a chemical imbalance in her brain, leading to depression. Her doctors attacked the problem with medication, but they took years to find the right combination of drugs, some of which were addictive. What my friend did was to take the initiative to slowly reduce and eliminate the medications, while training her brain to approach life with a serene, positive outlook. This monumental effort to improve her condition took several years, and she learned some powerful skills along the way. In the end, it worked. She did for herself what her doctors could not do. Now she’s learning how to turn her healing skills into a new business. She’s my candidate for the Most Self-Empowering Woman in the world—one of my heroes. One fellow I know is a relentless learner, but primarily in one area—information technology. In that area, he’s scary brilliant. He has top credentials and has achieved great success in that area. Whenever I ask a question about computers or the web, his answer is always swift, confident and correct. However, along the way, he failed to balance this know-how with an understanding of the humanities, people and people skills. In recent years, he’s made some progress in this area, but for a long time his awkwardness in relationships caused him problems. To a degree, it still does. He has an awful lot to learn. Even though I care about him, I know it’s up to him to decide whether to pursue it. I think of myself as a life-long learner, too. Most of what I know I’ve learned since I turned 40. Translation: I’m still on a fast-track of learning. I once had a passionate interest in personality. I knew that personality manifests itself in behavior and that behavior is triggered by mental processes. But how does that work? Where in the brain do these personality-related processes happen, exactly? Science continues to give us new answers, so my obsession with learning about the brain continues to this day. Because of my interest in brain science, for several years now I’ve been learning how the brain functions as a “learning instrument.” I have the same questions: what happens when we learn, and where in the brain does it happen? My quest for answers has caused me to move beyond my old interest in assessing performance to improving performance, i.e., how to make lasting changes in people’s behavior, habits and skills. I’ve learned that patterns of personal strength count for as much as skills to achieve goals in life and work. And now my company is applying this knowledge in a new online self-development system. Are you the kind of person who wants to grow stronger to meet the challenges of life? I hope so. You may find it hard to set aside time for this in a day filled with family and work activities. And it may seem uncomfortable and daunting when you realize that learning something new may require you to let go of something you’ve learned in the past. But the benefits of ongoing self-development are enormous. You may have heard that learning causes physical growth in the brain—a fact that has been well-established by cognitive neuroscience. 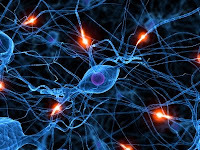 While the basic foundation of brain cells is established in youth, the interconnectivity of those cells continues as you learn. So when you acquire new knowledge, you don’t grow new brain cells; instead, new connections grow between the cells that are already there. As you use your knowledge, the connections grow stronger and more robust. An even more complex network of cells physically grows together when you master a new habit, behavior pattern or skill. This kind of brain growth can happen even in old age, when brain cells are supposedly dying. Your world is always changing, and the rate of change is accelerating. If you’re to succeed in your world, you’ll have to continue adapting to it. That means more learning, growing and changing. They say knowledge is power, and I believe it. Experience and wisdom give us power, too. As do skills. And we need to develop our bodies as well as our minds—honor the sacred temple of being. That means continuous learning and new habits for health, fitness and nutrition. Self-development is how you empower yourself to live a better, happier life. Learn something new, and that treasure will never be taken from you. 3. List three things that you’ll do with the information that you get from these sources. 4. Carry out your action plan. Invest in self-improvement, and you’ll earn the highest dividends. Thank you for all the work you do. And there are additional benefits to being a life-long learner--we make new relationships over the course of our lives and we enjoy life more because life is more interesting. Funny coincidence. Hill Country Mysteries has a complementary post today. Thanks for this practical and uplifting perspective on self-development. The four steps are a great pathway to examining and building self-development skills. You here develop that inspiring line by Jim Rohn - Work harder on yourself than you do on your job! I too am a lifelong learner hardly miss a blog post from you. They are all always sumptuous. Thank you so much for what you're able to do for humanity.